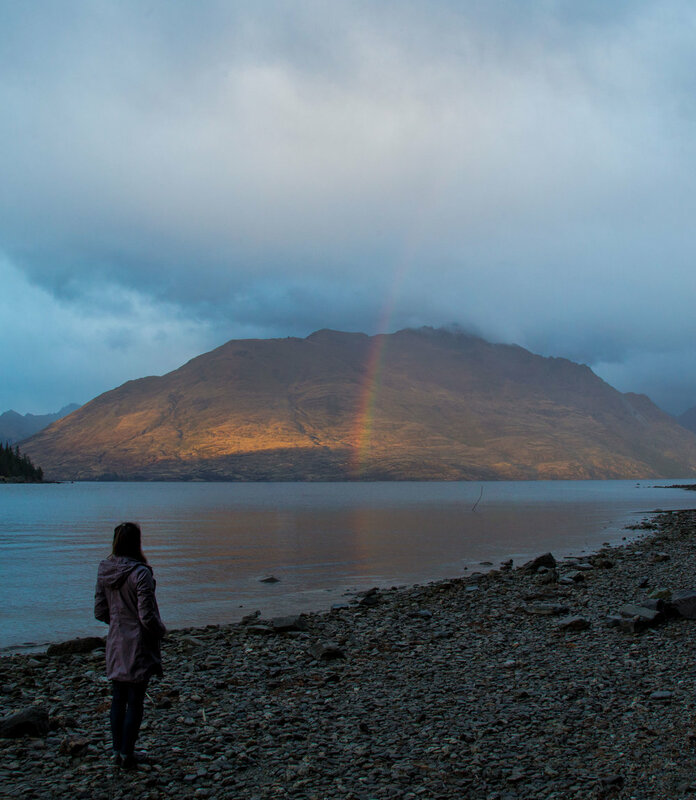 Today, it occurred to me that although I have wrote many a love letter to Queenstown, I have never really divulged on my most favourite activities and spots in this incredible place. And I’ve had so many people ask me for recommendations that I have lost count! So I suppose this little piece is coming to you from two places; 1. 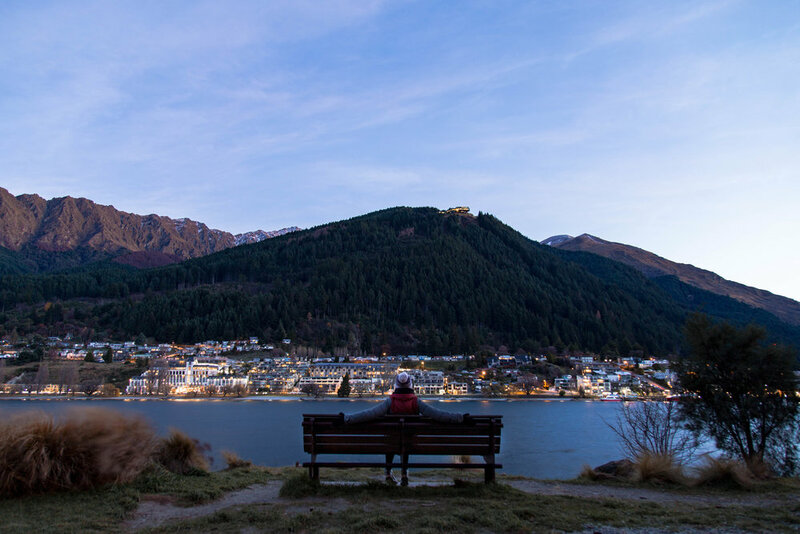 I hope reading about what I love about Queenstown will help you plan your own trip and 2. from now on, if a friend asks me, I can direct them straight to here! Firstly, I feel I need to validate myself as a person equipped to give advice on Queenstown. I have been to Queenstown three times (and counting) and every time the plane touches down on the tarmac and I walk out to see the Remarkables spread out before me, I honestly well up. I have a love affair with this mountain town, that only grows in strength and complexity with each stay. I love everything about it - the wonderfully full and slow pace of life that is perfectly juxtaposed with a seriously never-ending smorgasbord of adventure, the numerous lively watering holes, the way everyone gets around in sportswear, being able to see the mountains from anywhere and more. Every time I am in Queenstown, it is like coming home. So here we go, here are my recommendations for Queenstown. This is not an exhaustive list; just a list based on my own, first-hand experience. Treat it as a starting point for your trip planning. My go-to car rental provider is Apex Rentals and this is NOT a paid-for endorsement. However, full disclosure - I did receive a small discount the second time I used time. The main reason why I love Apex is their easy after-hours processes. The flight we often choose from Sydney into Queenstown has us landing at 7.45pm and so this is very important. I found their processes seamless in both Christchurch and Queenstown. It also helps that Apex is one of the cheapest, in my experience. Keep in mind though that it is a short walk from Queenstown Airport so one of you will need to stay at the terminal with your luggage whilst the other goes to collect the car. I also HIGHLY RECOMMEND 'splurging' and getting an SUV, which is infinitely more comfortable and safer on the New Zealand winding roads, especially if you are travelling in the wetter months. Clean with good WiFi but the best thing about this backpackers is its location. It is a 2 minute stroll to the start of Queenstown Gardens and 10 minutes to Shotover Street. On my latest trip in March 2018, I was lucky enough to secure special media rates with this resort. 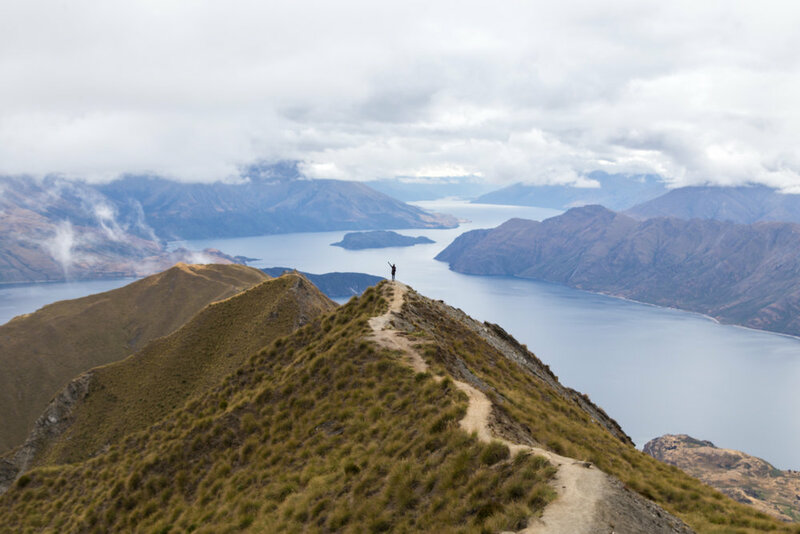 What I loved was how high it was situated up Fernhill, meaning that the views over Lake Wakatipu were stunning. Saint Omer Park (one of my favourite scenic spots, as you will find out as you keep reading!) is also literally just a roll down the hill away. The gym is also well-equipped and of course, has great views. We stayed here on the trip that we got engaged so it was a little splurge but oh so worth it. My favourite part? The lobby is SO beautiful with wooden beams, high ceilings, bookcases, a fireplace and of course, floor-to-ceiling glass windows to show off the views. Make sure you have apéro here; wine and cheese as the sun sets. And of course, there are a gazillion Airbnb options in Queenstown...so you have no excuse to not book one without a view. After all, that is one of the absolute perks of Queenstown - how readily available breathtaking mountainscapes are. If you walk to the furthest corner of the Gardens, you'll have pretty and serene views of the town, the lake and the mountains. The Gardens in general are a great place for a run, a walk or just to sit with a coffee from Joe's Garage and soak it all in. 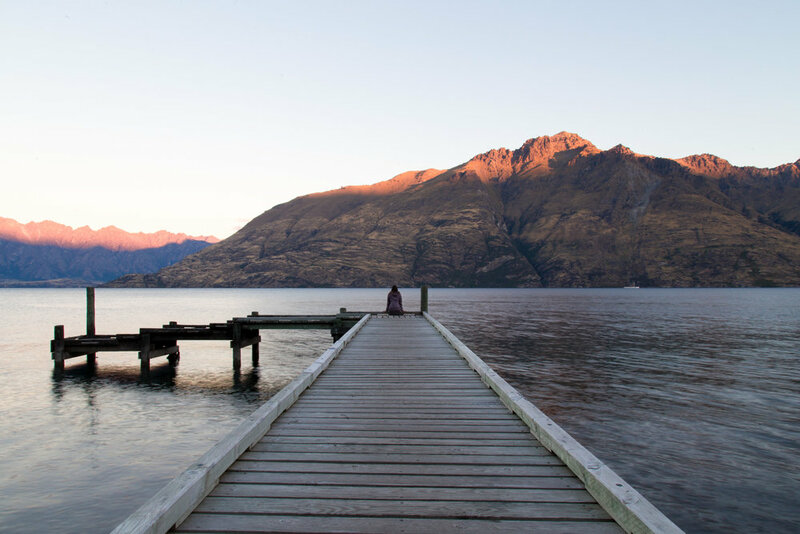 Saint Omer Park runs parallel to Lake Wakatipu with easy parking, public toilets and even BBQ facilities. 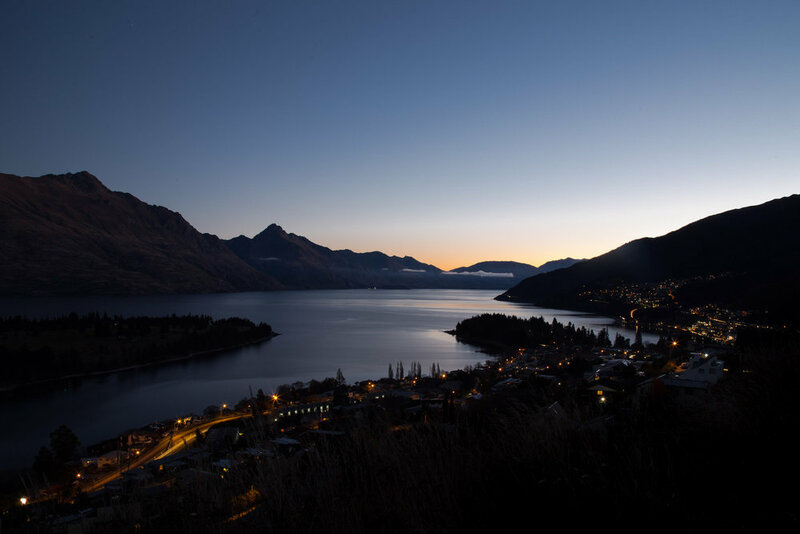 But for me, I love it because it is a great place to watch the sun rise over Queenstown. Disclaimer - these are not casual walks that you should do in jeans and fancy shoes. The mountains are no joke, regardless of what others say or what the weather forecasts predict. Please be prepared with proper clothing, shoes and supplies such as water. It is always better to be safe than sorry. 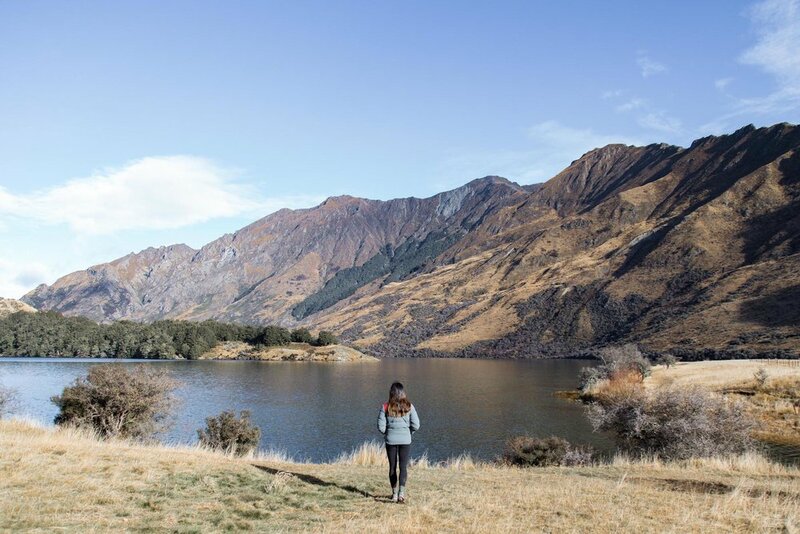 Moke Lake is only 25 minutes from town centre but it can have you feeling as though you're in the middle of the backcountry, especially in winter when it is not so busy. It is one of those places that seems to be in a time-warp; so easy to lose yourself in your surroundings. The walk itself is undulating with gentle inclines and declines and takes you all around Moke Lake...a really beautiful and relaxing walk. Come for sunrise. Or better yet, camp here and then all of this will be steps outside your tent door. If I lived in Queenstown, I would do this walk at least once a month - that's how much I love it. It is just so accessible and it would be the perfect quick little workout because the incline is definitely there, but nothing too extreme. 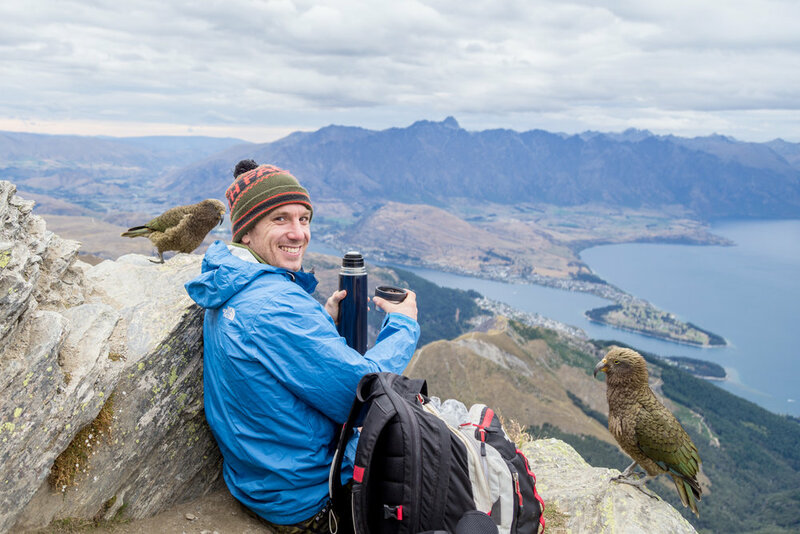 You start off in the cool and quiet forest before the trail opens up to reveal the Basket of Dreams sculpture (a Millennium commemoration), Lake Wakatipu, all the surrounding mountains like Cecil and Walter Peak and a view over the town. The true summit is another 500 metres upwards, about another 15 minutes walk. From here, you can see back to the airport and the Crown Range Pass. If you're looking for somewhere to watch the sunset, I highly recommend Queenstown Hill because the walk back down is easily done in the dark with a head lamp. This day hike is a MUST-DO. 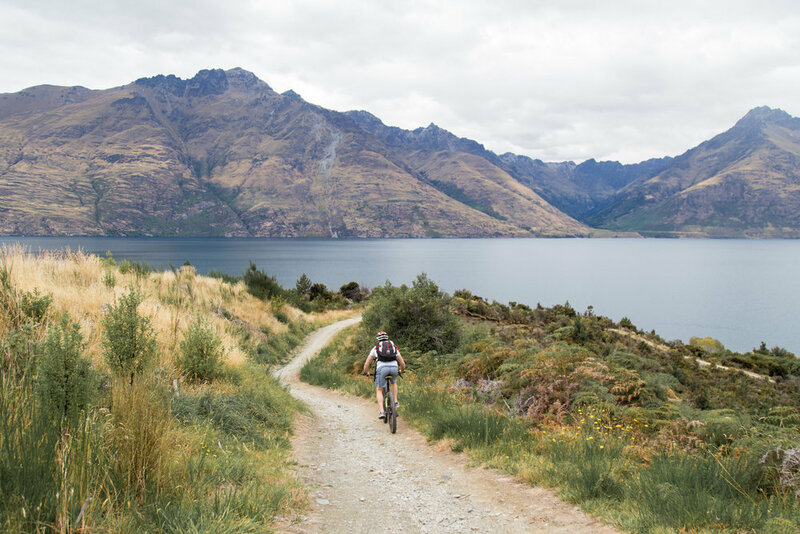 Once we cleared the forest, the insanely stunning views of Queenstown, Lake Wakatipu and the Remarkables begun...and the climb continued, becoming steeper after the saddle as we inched closed to the summit. As you draw closer to the summit, the layers of mountain ranges in the distance seem to multiply exponentially and it is just mindblowingly beautiful. I honestly believe that a view like that - of endless sky-high peaks - needs to be something that everyone sees at least once in their life. It generates a gratitude and humility that not much else can...as well as a life-changing appreciation for this Earth. But back on track for this guide...After spending some time on the summit, incredulous at the views and sipping on a thermos of hot chocolate, we ran down - it made for an awesome trail run! Full disclosure: I am not an avid cyclist. 'Happy' would not the word my husband, Luke, would describe if you asked how I was when he suggested we rent bikes in Queenstown. But I have to admit that there were definitely parts of the day where I was loving life. We cycled to 7 Mile Bike Park and the route there was beautiful. 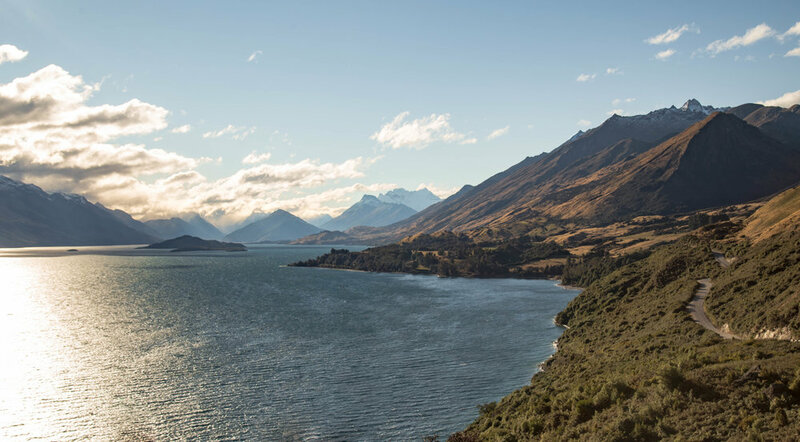 The roads in Queenstown are quiet and winding and when you are cruising along, with the blues of a cloudless sky and a glittering Lake Wakatipu, and the breeze is whipping through your hair, life is pretty darn good. The Bike Park also caters to all confidence and ability levels. Another option is, of course, Queenstown Bike Park with its gondola-assisted mountain bike lift. Luke can vouch for this one - he had an awesome day here whilst I went on a helicopter flight to Milford Sound! Not exactly budget-friendly but truly an unforgettable experience. This was my first time seeing mountains rise above an ocean of clouds...something that I had read about in countless mountaineering novels. I can't explain to you how it felt, to look out the window to my left, and see a wall of rock and snow rise out of the clouds, dominating the skyline. 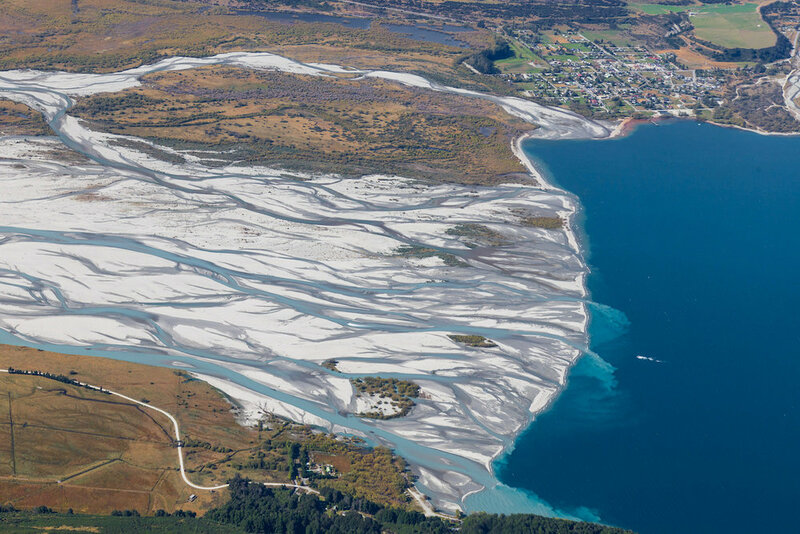 I also loved seeing the braided rivers from the air - the patterns that Mother Nature make are unrivalled. And the thrill in spotting little glacial lakes that I know only a small percentage of people have ever seen! 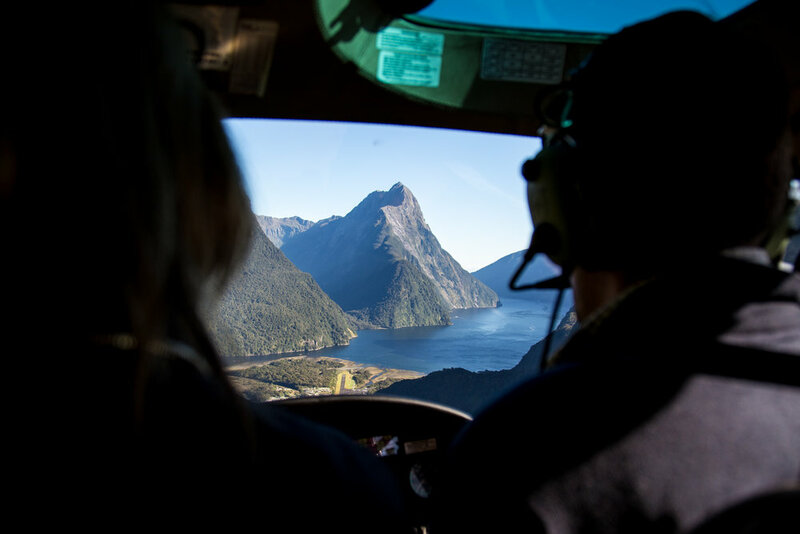 And flying into Milford Sound and immediately losing all sense of scale. Unforgettable. This is not so much an activity...but is a local bookstore that we have visited on every visit to Queenstown, since October 2015, which is actually when it opened! A wonderfully curated collection of books, both fiction and non-fiction, as well as art supplies and cute cards. I spoke to the owner on my latest visit in March 2018 and he spoke about how not many establishments in Queenstown are locally-minded anymore; as the destination took off, rent increased and pushed locals out to Frankton, replacing boutiques etc with big brands. It is truly awesome to see Bound doing well. This little town packs a punch and if you only have a day here, you'll be tearing your hair out trying to decide what to do. 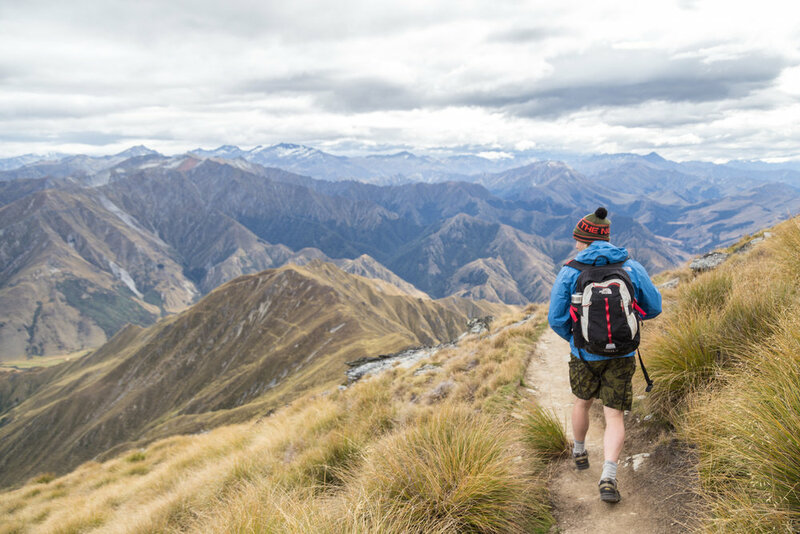 I have paddled Lake Wanaka as well as hiked Roys Peak; if you only have time for one activity in Wanaka, it's got to be Roys Peak. The trail is clearly marked and the terrain is easy but the incline is steady and relentless. Start out early so you can catch the sun breaking through the clouds. And of course, turn it into a trail run back down to the car! If you can, drive to Wanaka from Queenstown via Crown Range Road, the highest main road in New Zealand, reaching a height of 1,121 metres. 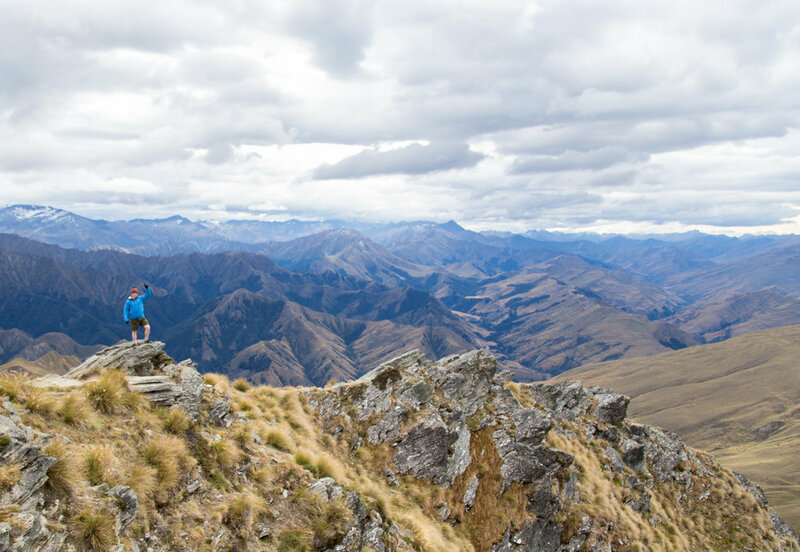 Wanaka is also the gateway to Mount Aspiring National Park...which is on my list for my next New Zealand trip. Trying to do Milford Sound as a day trip from Queenstown is a stretch as it is a 4 hour drive, under best conditions. But I couldn't have a list without it. I highly recommend doing a kayak tour through Milford Sound, as early as you can manage. If there is a bit of cloud around, it will feel like you are paddling through Jurassic Park. Majestic. It's actually the drive to Glenorchy that is the showstopper..50 minutes winding around Lake Wakatipu as the clouds roll in and over the many summits. It has to be one of the best beautiful drives in the world. 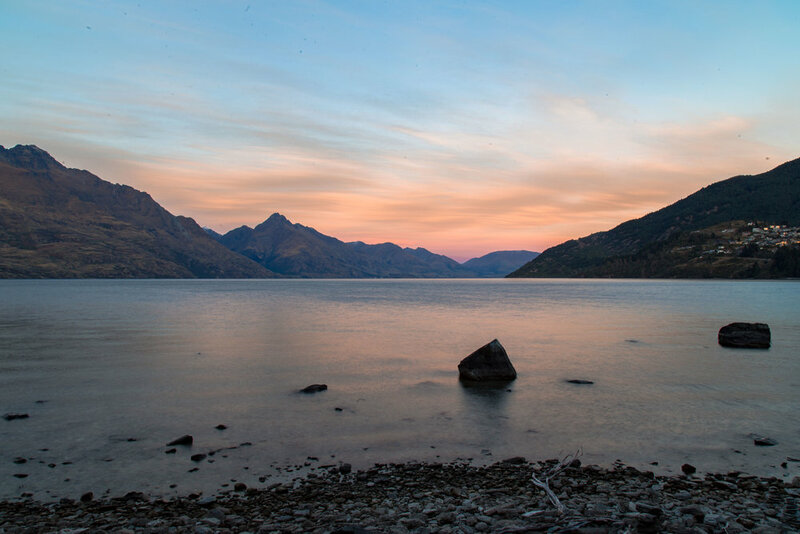 Only a 20 minute drive from Queenstown. I have heard that there are beautiful walks to do there - the only one I've partially done is the Arrow River Trail, which is incredibly peaceful. However, I think it would be way better on bikes than on foot so if you can, get yourself some wheels! The historic town itself is charming and like stepping back in time and there is a great short walk telling the story of the old Chinese goldrush settlement of the mid-1800s here - highly recommend. Atlas Beer Cafe - tucked away in Steamer Wharf is Queentown’s pint-sized home of craft beers, complete with lake views. Genuinely rustic and cosy with wooden furnishings and seating along the windows, looking out to the lake. And they do a GREAT steak here too for NZD 20 (which rarely happens in Sydney). I never leave Queenstown without coming here at least once. Joe's Garage - I have been here for breakfast (two mornings in a row) and lunch. $15-20 is all you need for a simple but delicious and hearty meal with EXCELLENT coffee and free WiFi (30 minutes, I believe). Staff were so friendly and super attentive. Highly recommend the M1 or Gorgeous George. Vudu Cafe + Larder - this basically lakefront café would do extremely well in Sydney and considering we have a massive café culture, that statement is not to be underestimated! Serving local and organic food with a display counter of baked goods that is a mouth-watering feast for the eyes. Blue Kanu - a delicious + interesting fusion of Pacifica and Asia! The food here is a BIG flavour explosion...to the point where you need the rice just to break up the rich flavours. Drinks menu - extensive and amazing. If you're looking for a different (in a good way) eating experience, go here. This is me on my very first day ever in Queenstown. You won't find a happier little Vegemite! 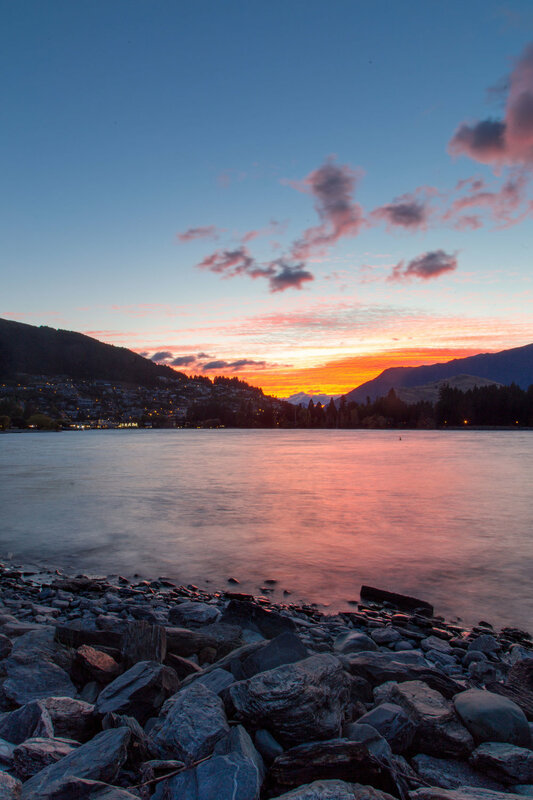 "A gravitational pull to this town of peaks, lakes, drinking holes and chilled vibes, where life is full and slow and keeping up with the Joneses is not a thing"
I hope I have helped you in planning your own Queenstown escape and I hope you fall head over heels in love with the place as well.